Just like the other estimated 600,000 vegans in the UK, Beverley was following her conscience and decided to remove all animal produce from her diet and lifestyle. But what the 62-year-old didn’t expect was the huge range of health benefits she started to enjoy as a by-product of her vegan lifestyle. 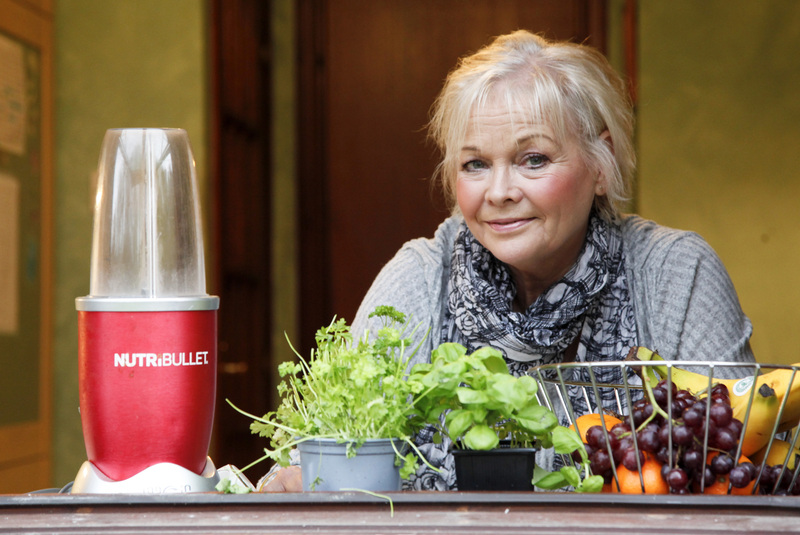 “After 30 years of being vegetarian, I pretty much turned vegan overnight,” explained Beverley, who lives in Edinburgh. “I was so focused on why I was doing it, instead of focusing on myself, so it wasn’t a difficult transition. “But after I became vegan, I quickly noticed that my psoriasis more or less cleared up – I had suffered with psoriatic arthritis from my early 30s, and was taking medication for it. I was resigned to it being a lifelong condition.” Psoriatic arthritis typically causes affected joints to become inflamed, swollen, stiff and painful, and can become progressively worse over time. But Beverley noticed a dramatic improvement just a few years after becoming vegan. She said: “A year or two later I felt so well that I decided to wean myself off all medication as an experiment, and found I had no ill effects. A couple of years later I even ran a half marathon, which previously would have been unthinkable. According to a new study released at the end of last year, following a vegan diet can lead to better health compared with those who eat animal products. Researchers analysed 40 studies from more than a dozen countries, and found those following a vegan diet consumed fewer calories, ate less saturated fat, and had lower body mass, LDL cholesterol, triglycerides, blood pressure, and fasting blood glucose. This month also marks the Veganuary initiative, which encourages people to try veganism for 30 days, benefiting animals and the environment, as well as the participant’s own health and nutrition. So far, 200,000 people have pledged to take part, and the charity says research now shows health is the second biggest driver in encouraging people to sign up. What’s more, the UK market for meat-free foods was reportedly worth £572 million in 2017, and supermarkets such as Morrisons, Tesco and Sainsbury’s have introduced a range of new vegan options in the last year. Last week, Marks & Spencer also released the “Plant Kitchen” range, which will feature 60 vegan meals, snacks, and ingredients. Beverley admits being vegan has made her more aware of what she puts into her body, and now follows a healthier diet than when she still ate dairy and cheese. She said: “As a vegetarian, I was fairly lazy about cooking and tended to rely more on shop-bought foods for making meals. But veganism opened my eyes up to so many more foods. “I much prefer cooking from scratch now and really enjoy all the new flavours and recipes to try. All you have to do is put the word ‘vegan’ before your favourite meals into Google and hundreds of recipes will appear. With 2019 already dubbed The Year of the Vegan, Beverley is encouraging more people to look into changing their lifestyle, joining a growing movement. She said: “It’s important to do your research once making the decision to go vegan to make sure you feed your body with all the nutrition it needs.